Jenks Productions currently produces 22 trade shows & exhibitions each year in Connecticut, Massachusetts, Rhode Island, Pennsylvania and New York, making us the leading event management company in the Northeast. We specialize in subject matter that is trending in the current marketplace, including Home Shows, Bridal Shows and Kids Fairs. Our area of expertise is varied across Business-to Business (B2B) Expos, Consumer Trade Shows and Trade Association Shows, giving us the benefit of a range of strategies that help make our expos, conferences and other events the best around! Founded in 1979 by Dennis Jenks, Jenks Productions has effectively planned large events and exhibitions for over 40 years. Our proven large-scale event planning tactics and our powerful and innovative marketing plan for reaching, entertaining and educating the public, has successfully helped thousands of businesses reach their targeted audience. With a discerning eye on evolving consumer needs and a shrewd sense of emerging trends, Dennis Jenks has recognized sound business opportunities since the conception of his event planning business. During the energy crisis in the late 1970’s, Dennis produced the first “Energy Show” at the Hartford Civic Center. 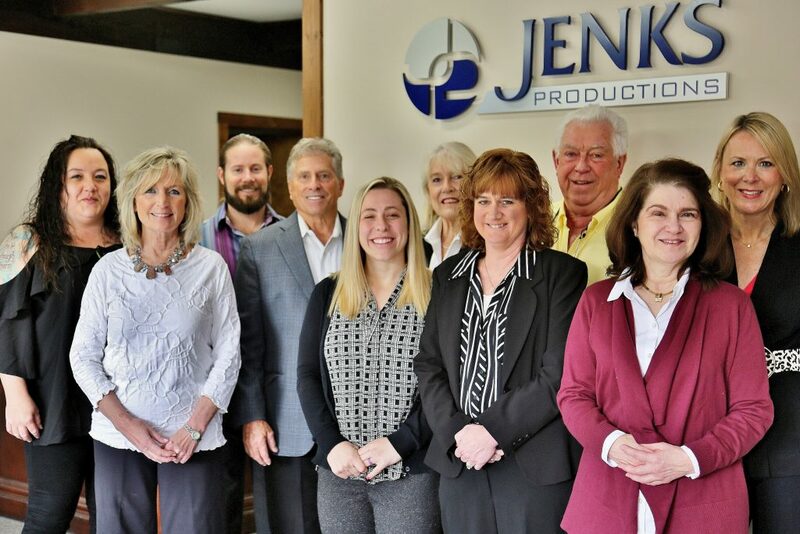 Over three decades later, Jenks Productions continues to be an inventive and respected leader in the consumer trade show industry, producing, organizing and managing more than twenty-two shows annually. Jenks Productions offers a conservative and long-term approach to a variety of trade shows, expos or other events. We primarily focus on shows that target the American homeowners, brides-to-be and partners-to-be, families and outdoor enthusiasts. Experience has shown that Jenks Productions audiences are a blend of informed returning customers and eager first-time consumers. These consumers appreciate the importance and convenience of one-stop-shopping, and the entertainment of the process. This provides our clients with a well-attended and professionally managed exhibition. When you participate in a Jenks Productions consumer trade show, expo or exhibition, you can expect the planning, promotion, service and most importantly – the attendance, to reflect over three decades of experience and attention to detail. Let Jenks Productions manage your next consumer trade show, business-to-business expo, trade association show, exhibition or large corporate conference. We efficiently produce trade shows in Connecticut, Massachusetts, New York, Pennsylvania and Rhode Island. Dennis, Wes and their team will provide you with all the essential information and assistance you need to pull the show off without a hitch. With our impeccable attention to detail, you can rest assured that your show will be a definite success! We look forward to making your expo weekend an enjoyable and profitable experience. Read our full list of large exhibition event planning and management services or print the list by downloading our Full List of Event Management Services PDF. Contact us today to start planning your show!